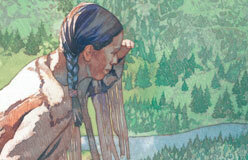 Sacagawea was born around 1790 in the eastern part of what is now Idaho. 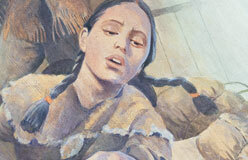 She was one of the Lemhi Shoshone, or Snake People. 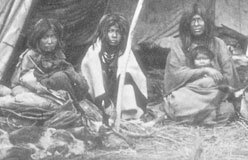 They spent much of the year traveling in small groups. 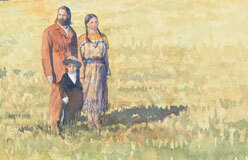 Each group consisted of an extended family. 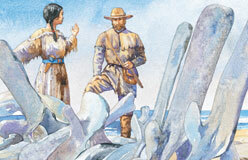 For the most part, the Shoshone stayed in the mountains. 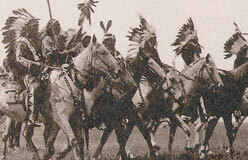 That’s because whenever they wandered onto the plains, bigger, stronger groups of Crow and Blackfeet attacked them. 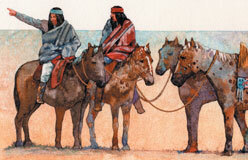 The Shoshone were mostly peaceful, and because they had no contact with Europeans, they had almost no guns.